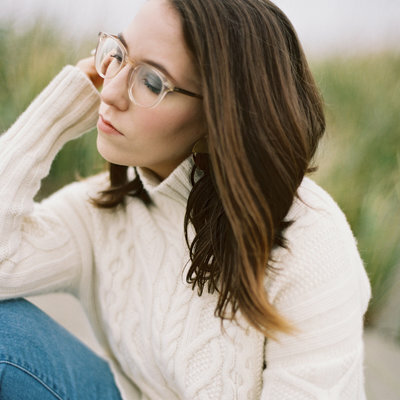 Callie is a fine art film wedding & portrait photographer based in Philadelphia. She loves to travel for weddings and portraits alike, infusing elements of her surroundings into all of her work. She is a passionate story teller, a fiercely loyal friend, and has an extreme case of wanderlust 99% of the time. Callie puts a special emphasis on not just photographing her clients' weddings, but truly developing a relationship with them. She is there for them every step of the way during the planning process, making sure the day runs as smoothly as possible. She only takes on a limited amount of weddings each year to ensure she's able to provide a boutique and unbeatable customer experience! She cares about her clients and wants to provide them with memories that they will cherish for the rest of their lives. 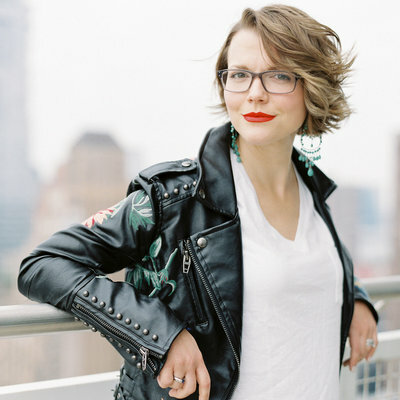 Her work has been featured in Martha Stewart Weddings, Style Me Pretty, The Knot Magazine, Wedding Sparrow, Magnolia Rouge, Once Wed, and many more. Alisha is a recovering English teacher turned fine art wedding photographer. With a background in literary arts, her love for storytelling is fully embraced behind the camera as she lovingly directs her subjects. Focused on capturing an authentic narrative , Alisha implements a guided, organic approach to wedding imagery enhanced by the use of film. Fueled by bubble tea, avocado toast, getting real mail, and British television, Cassi can be found photographing weddings with her husband Chris in the northeast and beyond. Together they believe in grace in love, kitten therapy, and eating sushi at least once a week! While Cassi is known for her bright and happy photographs, her mission goes far beyond the lens. Creating a joyful, personal experience that often leads to true friendship with her couples is how she captures the purest joy and sweetest mini-moments on the wedding day. Warning: she will hug you and she will want to be your best friend. Outside of weddings, Cassi lives at Hogwarts with her other best friends Sooki St. James, Leslie Knope, and Anne Shirley! 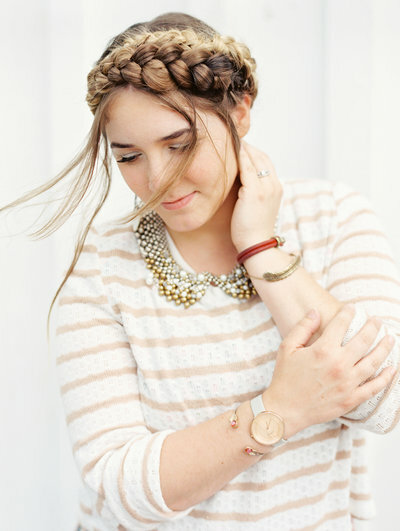 Her work has been featured on Style Me Pretty, BRIDES, Martha Stewart Weddings, The Knot and more. Charity Maurer is a local to Arizona and built her luxury-level photography business in the corner of a one-bedroom apartment as a 20-year-old newlywed. With a vision for balancing motherhood and entrepreneurship, she saw the luxury market as her opportunity for creating a sustainable business while raising a family. She’s a big believer in doing “less, but better” and wants to debunk the myths around what it takes to charge a premium price for your service, while inspiring others to make the best use of their time professionally and personally. She’s mom to two boys, Achilles (4) and Cyrus (2) and wife to Andy, a marriage and family therapist. She lives in sunny Arizona and will always be infatuated with the colors of the desert captured on film. breakout class: dolla dolla bills y'all! On the left is Elizabeth. She is the stylist and wedding designer behind East made Event Company. On the right is Nikki. She is the calligrapher and prop enthusiast behind Shotgunning for Love Letters. They are both based in Baltimore and share a love of prop styling, art, antiques, tiny brass animals, items with history, and European travel. 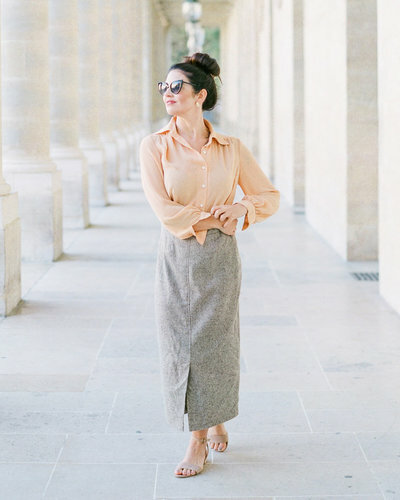 They started antiquing together to better curate their personal styling collections, and then decided they were finding too many good things to keep only to themselves. So, Curated Behavior began. Elizabeth and Nikki believe flat lay styling should tell a story and that a day of antiquing is incomplete without a break for cake. Christina is a film and digital commercial photographer from NYC. She started in weddings and portraits and her work was featured in Magnolia Rouge, Style Me Pretty, The Knot, Green Wedding Shoes, Wedding Sparrow and more. However, she doesn't give a hoot about those and cares more that her clients had the best experience and love their memories she created with them. She isn't into styled shoots, loves the technical/sciencey side of film (and life) far too much, and retired from weddings because she wants to spend more time cuddling on the couch with her kids. Her transition to commercial photography (with a focus on lifestyle branding and food) was a year in the making. She loves to work with brands both big and small to create content that is real, raw and exciting. Her absolute favorite thing to shoot is food on film. Elizabeth is a northern girl with a southern heart. 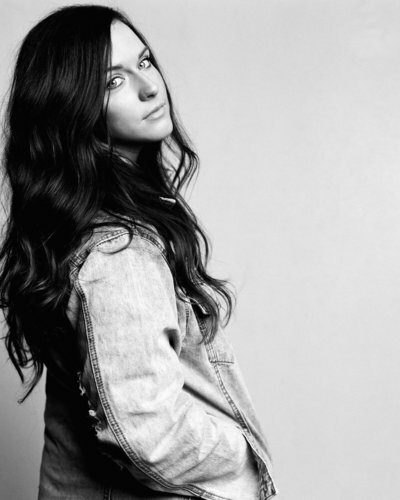 Born in Cleveland, Ohio, she began her career in high school taking graduation photos of her classmates. 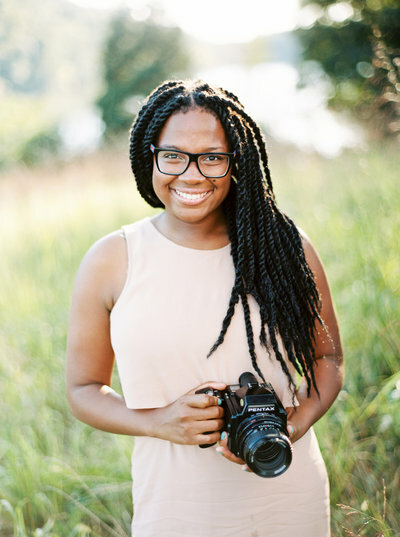 While in Alabama pursuing her undergraduate degree in business, she continued to follow her passion of photography, and in 2013 was able to successfully launch her photography business with 30 weddings in her first year. Since then, she has photographed weddings internationally, and her work has been featured in Brides, The Knot Magazine, Martha Stewart, HGTV, Black Bride Magazine, and many more. Her ability to artistically translate her couples love through images, has been a catalyst in developing her unique style. Halee specializes in family and lifestyle photography and is passionate about using film to create images that celebrate the authentic and inevitably imperfect moments of the everyday. Keeping love, connection and attention to detail at the forefront of her art, she strives to provide families with unmistakable proof that their stories have always been worth telling through photographs. As a former teacher, she loves helping other photographers find their creative voice while utilizing their unique strengths. Born and raised in the Midwest, Halee currently lives in Indianapolis with her handsome husband and two children, ages five and two. Kir Tuben is a hybrid wedding photographer who is inspired by authenticity. Her degree in Documentary Studies blends with her passion for Fine Art to create her unique brand. Kir is a Florida girl at heart and resides in Washington D.C. with her husband and two cats, Tuna and Lobo. 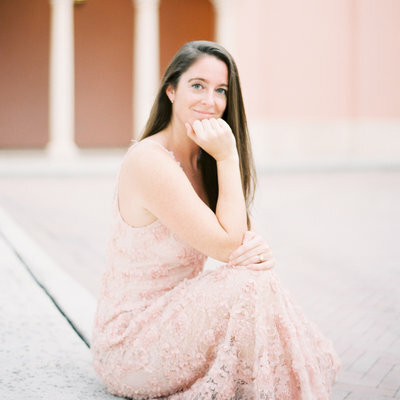 Although the East Coast is her home, she shoots weddings all over the globe and has been featured in publications including Martha Stewart Weddings, The Knot, Inside Weddings and Brides. Kir is all about being direct, honest and upfront and encourages you to come to her breakout session or grab a glass of whiskey with her later! Laura Murray is a photographer in Denver, Colorado. She never dreamed her career would transition from data cruncher to wedding photographer. Laura is passionate about the pursuit of being the best versions of ourselves. She believes each day we can find little ways to improve which will culminate into big changes. Her new brand, Spark & Bound, provides tools to creatives to achieve their wild dreams and extraordinary goals. Laura has traveled across the world in pursuit of photography, but she thinks there's nothing quite like home. Laura resides with her husband and three boys in the Colorado foothills, surrounded by the natural beauty of the wild. 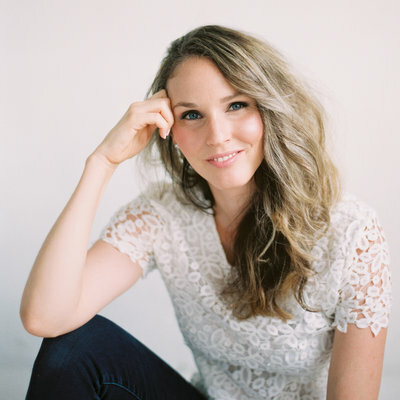 Laura has been named one of the top wedding photographers by Martha Stewart Weddings and her work has been featured on Style Me Pretty, Brides Magazine, Once Wed, and The Knot, among others. Olivia Carson has been to a lot of weddings. In the space of a single day, weddings can be chaotic, sublime, and deeply moving; With the way that wedding photography combines art, storytelling, and celebrating people, it was an easy choice for her to pursue. She's been behind the camera and shooting analog film since she was sixteen years old. Olivia's passionate about the beauty in simplicity and the way that it allows our humanity to come through. Olivia's work has been recently featured on OnceWed and Offbeat Bride. When she's not photographing modern, down to earth couples throughout the Pacific Northwest, Olivia calls Seattle home. On a free weekend, you can find her shopping the farmer’s market, binge-watching Game of Thrones, and cuddling on the couch with her cats, Aerie and Atticus. Paige Marie Griffith, J.D. 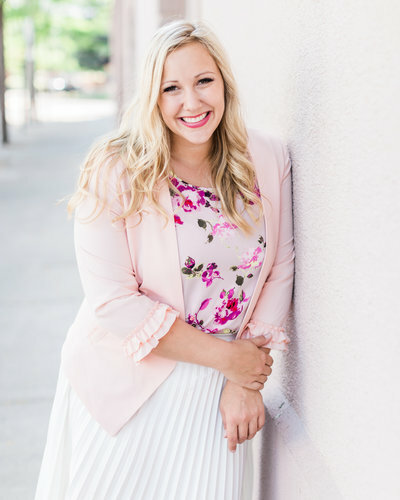 Paige graduated in 2016 from the University of Montana School of Law with high honors, and also holds a double BA in Economics and Political Science from Pacific Lutheran University. During her time in law school, she started a photography business and now shoots hybrid at all of her weddings. 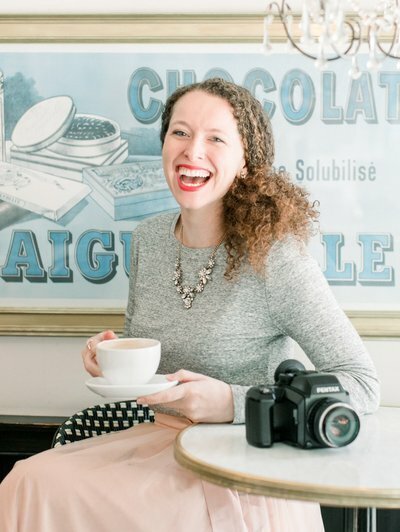 Paige recently combined her legal and entrepreneurial passions to help other photographers and creatives build successful and legitimate businesses. Her goal is to create a space where all small businesses feel protected and confident. 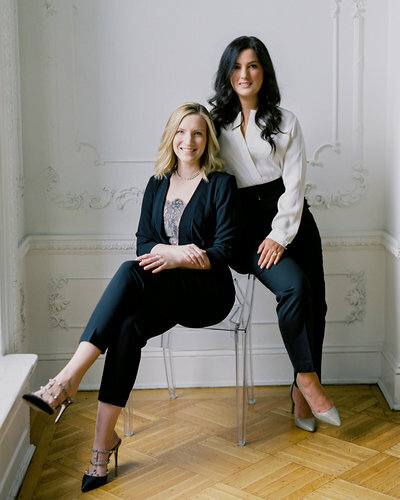 The Legal Paige was founded in 2018 and is an online legal consulting firm. Breakout class: Advanced Legal Audit!